With funding received from the Erie County Gaming Revenue Authority’s Mission Main Street grant program, Preservation Erie is working collaboratively with Union City Borough, Girard Borough, and Waterford Borough to implement façade improvement grant programs to assist property owners in making improvements to building facades in their historic downtowns. 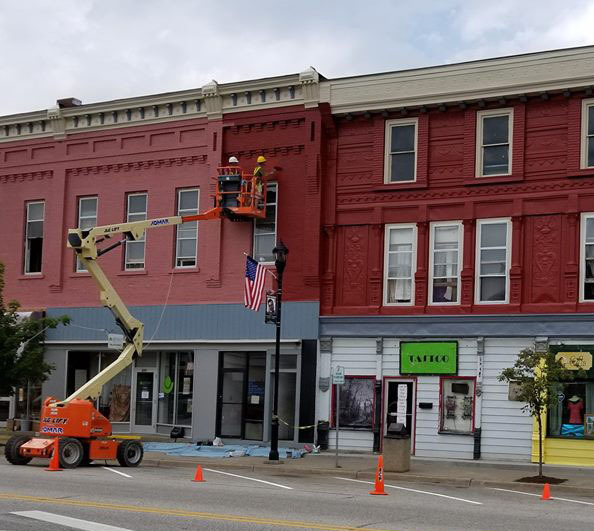 During the first cycles of the facade grant programs in 2018, a total of $21,000 was distributed to five property owners in Girard, $13,000 was awarded to six property or business owners in Waterford, and $27,500 was distributed for seven facade projects in Union City. The economic vitality of these boroughs is dependent upon a vibrant and well-maintained downtown. The purpose of the programs is to stimulate private investment in downtowns and create compelling places for businesses to exist and residents and visitors to spend time.